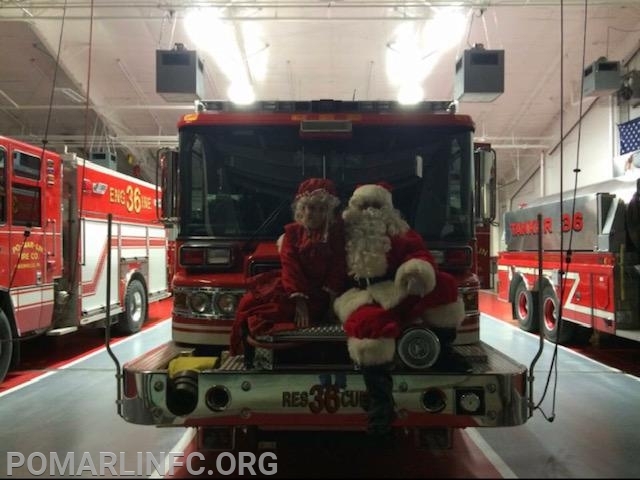 In 2014, Po-Mar-Lin Fire Company welcomed Santa and Mrs. Claus on their truck during the holiday season and it has remained a beloved tradition since. 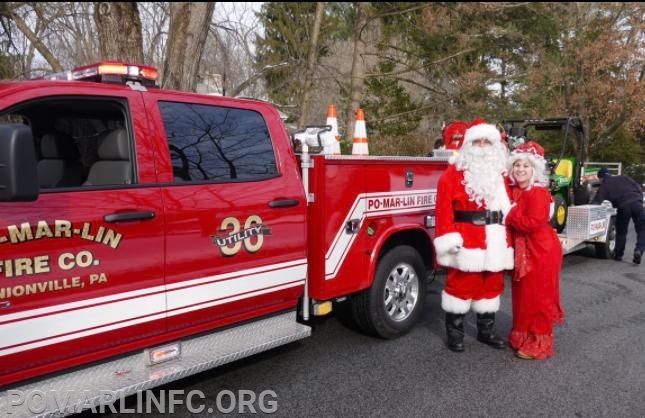 Since 2014 Mr. and Mrs. Claus have traveled from neighborhood to neighborhood in Pocopson, East Marlborough, West Marlborough, and Newlin to see the children, families, and pets with the firetrucks and firemen as their sleigh and reindeer. This year Mr. and Mrs. Claus will be visiting Pocopson Township and Newlin Township on Sunday, December 16, 2018, and East Marlborough Township and West Marlborough Township on Sunday, December 23, 2018. Mr. and Mrs. Claus are thrilled to spend time in Po-Mar-Lin’s district again this year with the community, make sure to visit when you hear them coming right down Santa Claus Lane near you!